We offer a standard (for EU) 12 months of warranty for our machinery used commercially. This warranty covers all non-wearing parts. What certifications have your pellets making machines passed? Will you show me how to run your machine till I totally grasp these skills if I buy your machine? Absolutely! We will try our best to make sure that our customers are skilful to run the machine and that they can solve common problems successfully. If necessary, we will send our experienced staff and interpreter to your working area. What can be used to make pellets? Generally speaking, all the biomass materials can be used for making pellets, such as: wood shavings, wood chips, sawdust, rice husks, sunflower seeds husks, straw, peanut shells, grass, hay, cotton stalks, corn stalks and other wooden materials, etc. What’s the general process of making pellets? Well, to start, you need to pulverize the raw materials into small particles and make sure they are dry enough (usually 10-15% moisture content). Then, these powders are pressed into pellets in the pellet mill. The finished pellets need to be cooled before they are collected for package. How is the pellet fuel’s market? Pellet fuel is a renewable, clean-burning and cost stable home heating alternative currently used throughout North America. It is a biomass product made of renewable substances – generally recycled wood waste. As the prices of oil and fuel are higher and higher, people have a gradually increasing demand of pellets. There are approximately 800,000 homes in the U.S. using wood pellets for heat, in pellet stoves, freestanding stoves, fireplace inserts and even furnaces. In short, pellet fuel is a good way to divert millions of tons of waste from landfills and turn it into energy. 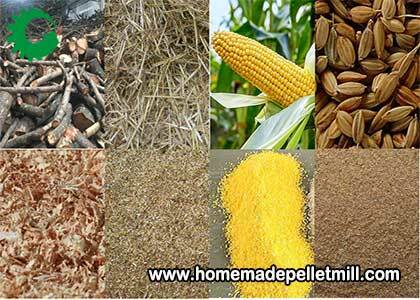 As the raw materials are easy and cheap to collect, making pellets fuel is a very profitable business. What is the feed rate of your pellet mills? The feed rate varies with the raw materials being used. We can help you find the best feed rate according to your specific materials. 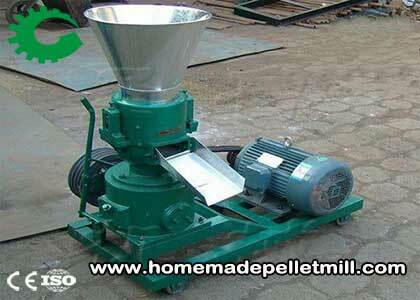 Can I buy relative machines or the complete pellets production line from you? Yes. As a professional manufacturer and supplier of pellet mills, we offer most machines that are related to pellets production. As for the whole pellets production line, we strongly recommend you our mobile pellet plant. Our mobile pellet plant is mainly composed of hammer mill, cyclone, mixing bin, screw conveyor, screw feeder, pellet mill, cooling screen, operating platform, bag-type dust collector and electric cabinet. Why is nothing coming out of my machine? Chances are you clogged your die. This will occur if you don’t use Pellet Mixer, haven’t reamed your die, your sawdust is too dry, or if you used Wafer or particle board sawdust which contain glue that will reactivate by the heat the pellet machine generates. In either case, you will need to remove the die and clean it. While you have the die removed, use a reamer to condition your die. This will smooth the rough edges of the holes in your die. What can I do when my pellets are mixing with my “fines”? Fines" are simply not well-pelletized particles that come out the chute with the pellets. You may want to use a 1/8 or 1/4 inch mesh wire attached at the end of your chute to allow "fines" to fall through while formed pellets "roll" down the mesh into your container. 6 to 8 inches in length should do it. Can I use the pellet mill to make animal feed pellets? Yes you can! As the raw materials of feed pellets are softer than that of wood pellets, there is no big abrasion of the die and rollers. The process is the same, and just the raw material is different. Farm owners use Pellet Mills and grinders known as Hammer Mills to produce their own feed pellets for their animals and you can too: Fish pellets, Rabbit pellets, Goat pellets, Cow pellets, whatever! Can I get parts through your website? Certainly you can! Just contact us for all your pellet making needs! And we are always at your service! What kind of power can support for your pellet machine? We have three power models pellet machine, electric pellet mill, diesel biomass pellet mill, gasoline wood pellet mill and Pto pellet mill. Pto means power from tractor. You can choose one based on your requirement. 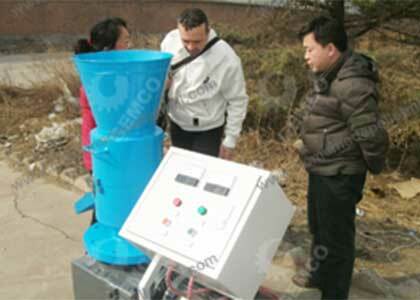 Whether it is necessary to add adhesives in the process of pellet making by pellet mill? 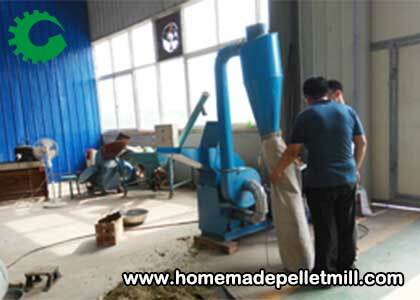 Using our company's pellet making machines without any additives, we can achieve high quality pelletizing effect. But in order to increase output and extend service life of dies and rollers, it is recommended to use adhesives reasonably. Is there a limit to the maximum size of the raw material before get into the pellet mill? Granulation requires that the maximum size of raw material should not exceed the diameter of the die hole. For example, if the die hole is 6mm, the maximum size of the raw material cannot more than 6mm. Users are required to control the size of the raw material according to the diameter of the die hole. 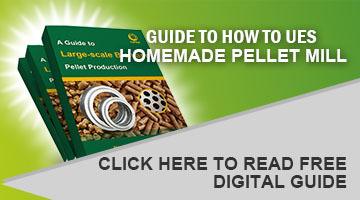 What do I need to do before starting a pellet machine? First of all need to check the fastening of the machine connection is solid. Second, before starting the motor, please check electrical cabinets, wires is likely to occur leakage phenomenon. The third step, you need to adjust the gap between the die and the pressure roller. The best gap is from 0.1mm to 0.3mm. The size of the adjustable gap depends on the different raw materials. We have many agents all over the world. Customer can go to the agency to repair the machine or replace the parts. Can I control the length of the particles? Yes, you can. There is a cutter on the export of pellet machine, you can move the position of the cutter to control the particle length.